Location and quality of life are critical in residential Real Estate and Deer Run both! 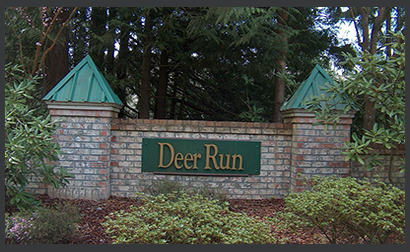 As one of Poulsbo’s finest neighborhoods, Deer Run has a warm, community feel combined with location to nearly everything one might need. Three North Kitsap schools; grades kindergarten through 12th grade, are a short walk away. Raab Park with its spectacular views, ball courts, dog-run and community gardens is a two minute stroll. Strawberry Fields, the year-around athletic fields for soccer and lacrosse is just up the road. Commuting to Seattle? Catch the bus at the end of Noll Road at Hwy 305 for a 15 minute ride to the ferry. Other services; banks, churches, eateries, a gym and everyone's favorite foodie destination, Central Market, make this attractive neighborhood so desirable. 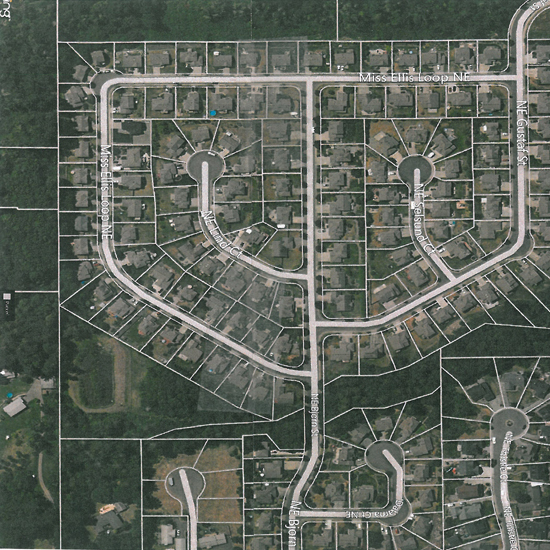 Consisting of three subdivisions totaling 141 separate lots this Home Owner Association incorporated in 1995. Pride of ownership is noteworthy throughout the neighborhood and the reasonable CC&R’s are enforced. The mission of the Board of Directors is to be an advocate to its members. This includes minimizing risk and liabilities and maximizing neighborhood safety; overseeing and implementing established neighborhood standards and procedures to maintain and enhance safety, security, quality of life and property values and to promote camaraderie and social interaction through sponsorship of Deer Run neighborhood events. This is an exceptional neighborhood to raise a family, enjoy to empty nest or stroll into retirement. If you want to know more, give me a call.